Effective October 26, 2018, the Federal Acquisition Regulation (FAR) requires businesses who are pursuing federal contracts to be registered in the System for Award Management (SAM) prior to their submission of a bid, proposal, or quote to a federal agency. Think of this as the need to “feed” information about your company into the SAM database, including updates to that information, on a regular basis. There are only a few exceptions to this new policy (exceptions may be found at FAR 4.1102). In the context of federal contracting, SAM is essentially the federal government’s vendor database. By registering in SAM, businesses indicate their compliance and agreement with the federal government’s standard “representations and certifications” requirements. Updating your SAM record must be done at least annually for a vendor to maintain “active” status is SAM. The new rule clarifies what had been ambiguity as to when vendors must be registered in SAM in order to be eligible to receive contract awards. (See details in our earlier article on this subject here.) With the FAR change, it’s now clear that registration must be accomplished before a vendor submits a response to an Invitation for Bid (IFB), a Request for Proposal (RFP), or a Request for a Quotation (RFQ). If you need help with your company’s SAM registration, feel free to contact a Procurement Counselor with the Georgia Tech Procurement Assistance Center (GTPAC). All of our contact information is listed by location at: https://gtpac.org/team-directory. If you are located outside of the state of Georgia, you can find the procurement technical assistance center (PTAC) nearest you at: http://www.aptac-us.org/contracting-assistance. Remember: There is never a fee to register in SAM as a government contractor. PTACs are available to provide you with no-cost help to get you through the process. If your business is registered in the federal government’s System for Award Management (SAM), you must renew your registration annually. Be alert: Change is coming! Whether you are familiar with the SAM renewal process or a newcomer to the process, things are about to change on June 29th. Remember, once June 29, 2018 arrives, your SAM username and password will be deactivated, and you will no longer be able to access your SAM account with those credentials. Need help with any step of the SAM registration or renewal process? If your business needs assistance in either establishing or renewing your registration in the federal government’s vendor database known as the System for Award Management (SAM), you can get free help. There are new registration and renewal procedures that are now in place. Because of recent fraudulent activity associated with the SAM database, the General Services Administration (GSA) issued a rule in late March 2018 that requires all registrants (“entities”) to provide an original, signed notarized letter identifying your company’s “authorized Entity Administrator.” The notarized letter must be submitted and approved before your registration will be activated. Effective June 29, 2018, all non-Federal entities who create or update their registration in SAM also will no longer need to have an approved Entity Administrator notarized letter on file before their registration is activated. This rule includes businesses that are competing for, or that currently have, federal contracts. It is important to note that all entities must mail the original, signed notarized letter to GSA’s Federal Service Desk within thirty (30) days of activation or risk having their SAM registration deactivated. GSA is also implementing a new login process for SAM which takes effect on June 29, 2018. As a result of the new process, all users attempting to log in to SAM on or after June 29, 2018 will be automatically directed to create a Login.gov user account. Your current SAM username and password will no longer work beginning on June 29th, and you will be unable to access your SAM account until you have created a Login.gov account. As mentioned in the second paragraph of this article, GTPAC (or, if you’re located outside Georgia, your local PTAC) will help you with all aspects of the SAM registration and renewal processes. Simply contact the GTPAC counselor located nearest you; our staff directory is at: http://gtpac.org/team-directory. In instances where businesses have federal contract awards or contract payments pending, GTPAC and the other PTACs across the country can offer special assistance to expedite the processing of their notarized letters. When contacting your PTAC counselor, be sure to let us know if you are facing either of those two circumstances. These are the first details of the impact on vendors emerging from the latest case of fraud to affect GSA’s System for Award Management (SAM). A GSA spokeswoman confirmed the agency already received 7,500 notarized letters. Effective April 27, 2018, all vendors who are renewing or updating their records in SAM.gov will need to comply with a new notarized letter requirement. The General Services Administration (GSA) previously announced that because of suspicious fraudulent behavior involving vendor registrations in the SAM.gov database, it would begin requiring submittal of a notarized letter from new registrants. With the latest announcement by GSA, the notarized letter requirement applies to all entities who are registered in the System for Award Management (SAM). SAM is the federal government’s vendor database. It also contains links to several other contract-related functions. Georgia businesses who need assistance with this process should contact a GTPAC counselor for no-cost assistance. A directory of our counselors appears at: http://gtpac.org/team-directory. Businesses located outside the state of Georgia may obtain free help by contacting a Procurement Technical Assistance Center (PTAC) in their state. A directory of PTACs is at: http://www.aptac-us.org/find-a-ptac. Cybercrooks who stole federal payments by hacking contractor accounts on a General Services Administration (GSA) website used sophisticated spearphishing techniques to steal login credentials and then diverted payments to bank accounts they controlled, an executive of a contractor targeted in the scam told FedScoop. It’s unclear how much the scammers have netted through their scheme, which is being investigated by the GSA inspector general and federal law enforcement. The General Services Administration (GSA) has announced that fraudulent activity has allegedly taken place within the System for Award Management (SAM). SAM is the federal government’s vendor database. It also contains links to several other contract-related functions. Existing SAM registrants are being advised to validate their registration information, particularly their financial information. If an entity’s financial information in SAM — particularly bank routing information — has been exposed, it is possible for contract payments to be diverted. Until SAM’s data breach issue is settled, it is going to be particularly difficult for new vendors to register in SAM. The Federal Service Desk advises that a new entity registering in SAM at www.sam.gov is now required to prepare and submit a notarized letter identifying the authorized Entity’s Administrator before the entity will be activated within the SAM database. Vendors are reminded that there is no cost to register in SAM — it is free. U.S. Senators Gary Peters (D-MI) and Susan Collins (R-ME) are introducing bipartisan legislation to help protect small businesses from falling victim to fraud when they register as vendors for federal contracts. 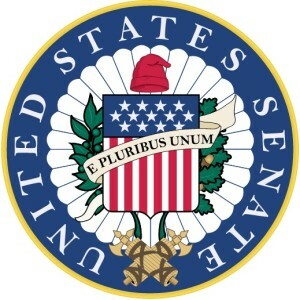 The Procurement Fraud Prevention Act would require small businesses to be notified that free assistance is available for help in procuring federal contracts through federal programs, including Procurement Technical Assistance Centers (PTACs), the Small Business Administration (SBA), and the Minority Business Development Agency (MBDA). Many business owners are unaware these resources exist and fall victim to scams that mislead them into paying high sums of money for contract procurement assistance. All small businesses applying for federal contracting opportunities must register in the General Services Administration’s System for Award Management (SAM). Unfortunately, bad actors obtain businesses’ contact information from this public database and then email business owners asking for high sums of money in return for registration and contracting assistance. Some scammers impersonate government officials in order to mislead businesses into paying for these services. As a result, many small businesses unwittingly sign up for services they were not seeking at the cost of hundreds or thousands of dollars. While various firms provide legitimate contracting assistance, bad actors intentionally use predatory tactics to drain money from small businesses. The Procurement Fraud Prevention Act will require GSA and the Office of Management and Budget (OMB) to ensure that any direct communication to a small business about its registration in a procurement system, including SAM, contains information about cost-free federal procurement technical assistance services available through PTACs, SBA, MBDA, and other programs. These services — like those offered by the Georgia Tech Procurement Assistance Center (GTPAC) — are readily available to help small businesses succeed. PTACs across the country, including GTPAC, regularly report small businesses coming to them after these fraudulent encounters, seeking corrective action, with some PTACs reporting up to 10 fraudulent solicitations per week. 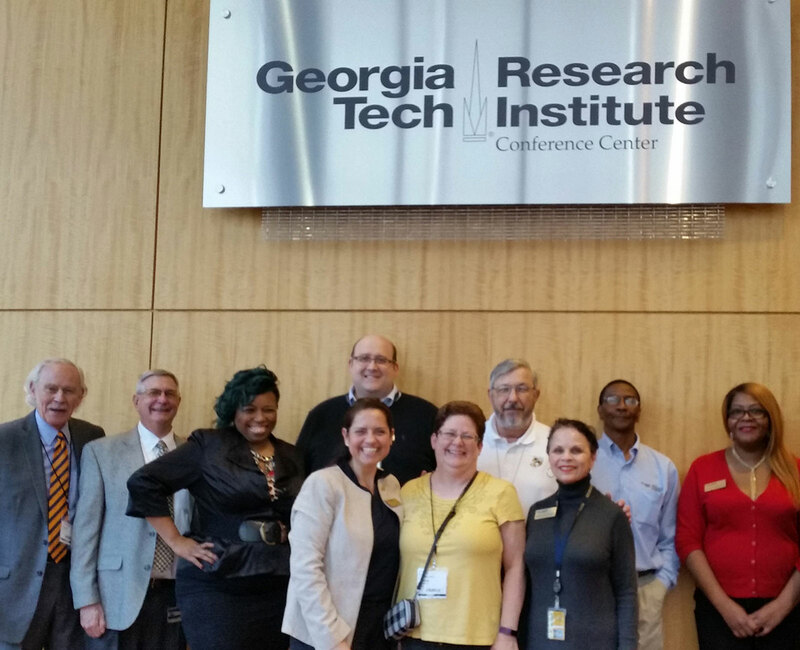 The Georgia Tech PTAC serves 2,200 businesses across Georgia through offices in Atlanta, Gainesville, Carrollton, Athens, Augusta, Savannah, Albany, and Warner Robins.